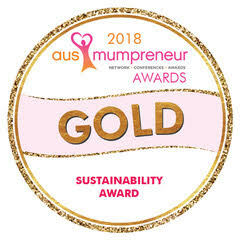 Sharona Webb of GreenAddict Products has been selected as a finalist for the 2018 AusMumpreneur Awards in the Sustainability Awards 2018. Sharona Webb, a busy mum of 3 young children 11, 8 and 2 and also the CEO and Co-Founder of GreenAddict Products a manufacturer of eco-friendly cleaning and household products based on the Sunshine Coast. Sharona is passionate about all things eco and is dedicated to helping others create non-toxic and chemical free homes for their families. Our business motto, “BECAUSE GOOD PLANETS ARE HARD TO FIND” drives our vision to not only deliver the highest possible products but to educate the wider community on the environmental impact using chemical household products has on the environment and steps that can be taken to reduce our environmental impact. GreenAddict’s eight product range is centered around delivering the high quality 100% Natural and Eco-Friendly Household Products at affordable pricing. Business is not always easy and GreenAddict has overcome challenges but has also seen great success. In just over 12 months we have grown from the first production and have now taken on 5 new stockists in QLD and 1 distributor and still growing.